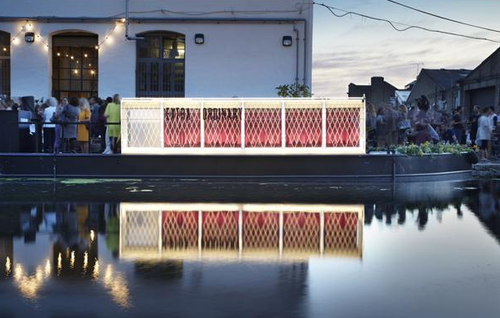 Arts organisation UP Projects’ Floating Cinema kicks-off its public screenings tomorrow with a commission by artist Tim Bromage, inspired by the site of Regent’s Canal and explores the facts and folklore of the London waterways. Using costume, text, and song, the unreal boat tour is an exploration and celebration of a life upon the water. 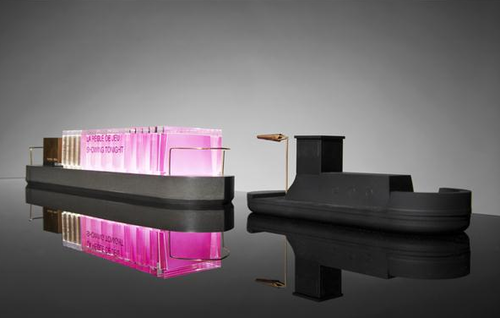 The kino barge was designed by Duggan Morris Architects and made its debut at the White Building and Crate, Hackney Wick. It will and showcase a ‘variety of intimate on board screenings’ as well as ‘large scale outdoor films for bank side audiences’ over 10-week programme which will cruise around East London’s canals. Developed in collaboration with Live Art Development Agency. Next Wednesday’s programme looks well worth scrambling for a ticket: London Lost, an archaeology-led discovery of what lies beneath the surface of London’s waterways. Join an archaeological expert in human skeletal remains and London’s burial grounds, including a behind the scenes tour of MOLA’s (Museum of London Archaeology) headquarters to see the archaeological specialists at work (not normally open to the public). I have been in here and can vouch that this will be a good un. Friday 9 August kicks off with the The Horror Weekender. Further listings and details of booking.